This post is the antithesis of that idea. 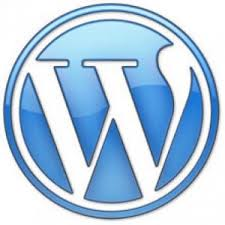 It’s about WordPress’ Twenty Thirteen theme, and how good it is as a basis for developing WordPress web sites for small businesses and organizations. As I’ve gotten immersed in developing web sites in WordPress, I’ve explored many different WordPress themes, both free and commercial. What I’ve come to realize is that pre-packaged themes are a bit of developers “fools gold” for highly custom web sites. The theme publishers are trying to get you to a certain look and feel for a web site with minimal effort. But, in any real world situation, the customer has specific requirements. Implementing those requirements often means breaking out of the limiting constructs of a theme. A developer can spend as much (or more) time overcoming the theme’s design as it would have taken to build a theme from scratch, or build atop a minimal theme like Blankslate. That’s it! In the above example, the site’s width is set to 1200 pixels. Many small businesses don’t have enough content for a very wide site. The wide site width generates too much white space. However, the easy adjustment of the max width in Twenty Thirteen’s style.css (or, preferably the style.css of the child theme). Responsive behavior done right. With responsive theme designs, the devil is in the details. Most work well enough, but the amount of css code and tweaking to deal with customizations can be substantial. I have yet to find a responsive theme that handles every situation (screen size) correctly. Again, here’s where Twenty Thirteen shines. I recently did a heavily customized business web site with a Twenty Thirteen child theme, and the entire @media section of the css was less than 50 lines of code, despite using numerous page templates, many plugins, etc. It renders beautifully on every device and resolution I’ve tested on (dozens!). Cross-browser issues are few and far between in Twenty Thirteen. Twenty Thirteen plays well with others. I’m talking plugins. For example, WooCommerce plays beautifully inside Twenty Thirteen. A lot of commercial themes will claim they are “Woo Commerce” ready, whatever that means. I’ve encountered situations where that claim was made, and it was still a fight to get WooCommerce to display seamlessly in the theme. Stability. If you’re a WordPress developer, you’ve had this experience: You log into the WordPress control panel and see the orange update indicator next to the parent theme of the site. Argh! One of the most frustrating things about using third party themes is the number of patches. Even if I’ve done my work correctly and separated all of my code in a child theme, I have to worry that a theme change won’t behave itself correctly, often due to a style.css change. Retesting with all of the browsers and numerous devices is essential after such a change. Simply not an issue with Twenty Thirteen. It’s rock solid. There are certainly fancier themes than Twenty Thirteen. Most are. But there are few that are as solidy built and reliable as the basis for a custom web site. If you’re a developer and you’ve never built a web site using a Twenty Thirteen child theme, I highly recommended it.